Microsoft has shared further details about the Surface Hub 2, which it first unveiled back in May this year. 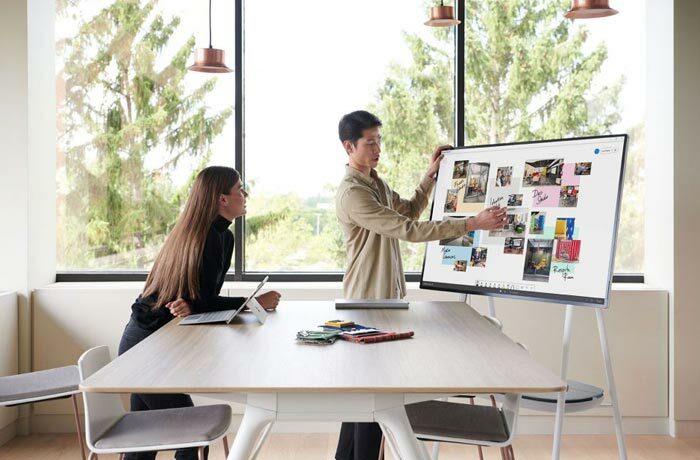 In a blog post entitled What's next for Surface Hub 2, the corporation revealed more about its philosophy in designing the Surface Hub 2, plus some details about how it will enhance collaborative work in organisations. 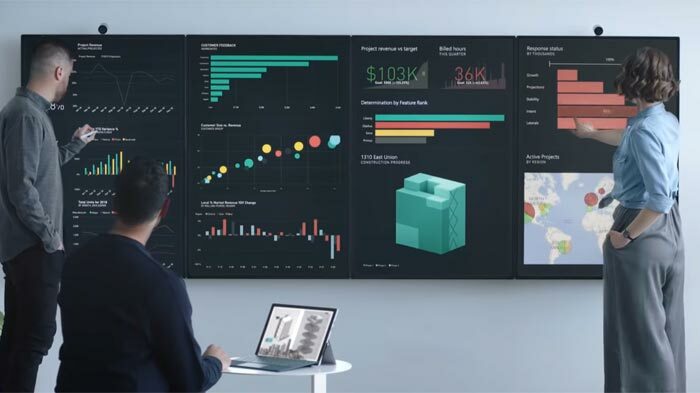 Furthermore, it revealed that the Surface Hub 2S will start to ship in Q2 2019 and customers will be able to upgrade to an even more capable Surface Hub 2X the following year. The new video from Microsoft embedded below shows off the sleek, minimal bezel, 50.5-inch 4K+ Surface Hub 2 in action but some of the capabilities on show will be limited to the Hub 2X, which won't arrive until 2020. Microsoft Hub 2S is basically a new version of the currently available model but delivers a "lighter, thinner, more vibrant design" and improved AV capabilities. There will be a new Microsoft Whiteboard app, with intelligent ink, Bing search built in, Skype for Business, Microsoft Teams, image stacks, and more. Whiteboards can be shared and synced across Windows 10, iOS, and Android devices for flexibility and portability. So, the Hub 2S is just a modernised version of the existing Microsoft Surface Hub. More significant changes will arrive in the way the Surface Hub works with the arrival of the Hub 2X. 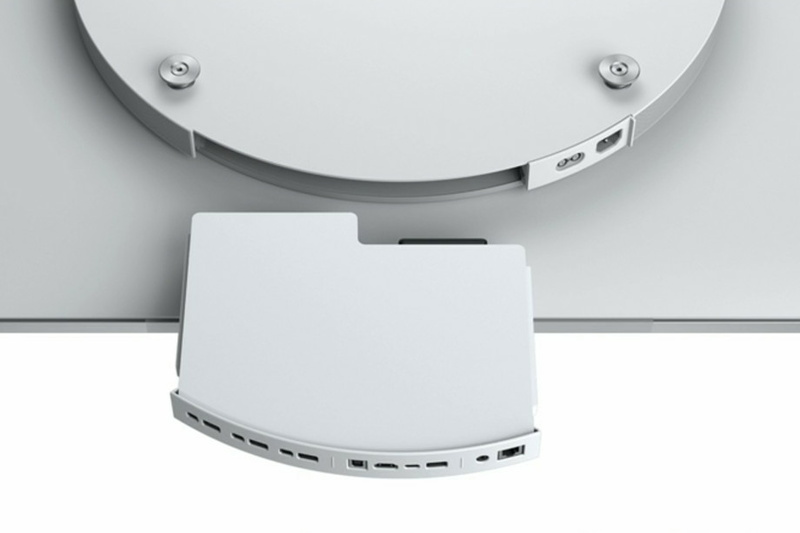 Owners of the Surface Hub 2S will be able to upgrade to the Hub 2X via a processor cartridge. Microsoft says it will be a simple, easily accessible upgrade and it will enable a new Microsoft 365 powered experience. Highlighted features of the Hub 2X are the ability to tile and rotate multiple devices, and enable multi user log ins. Thus some of the swish and advanced features you see in the video above aren't going to be available until sometime in 2020. Unfortunately, we don't have any indicative pricing for the Surface Hub 2S and the processor upgrade cartridge to upgrade it to a Hub 2X. For reference, the current Surface Hub is priced at around US$9,000. The Verge has shared a picture of the modular Surface processor cartridge.